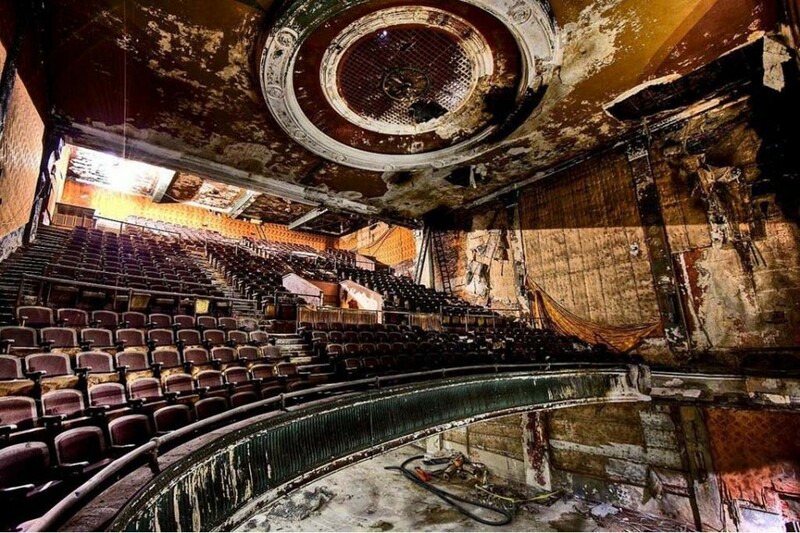 A daunting sight, the interior of the Queen Theater after 50 years of abandonment. 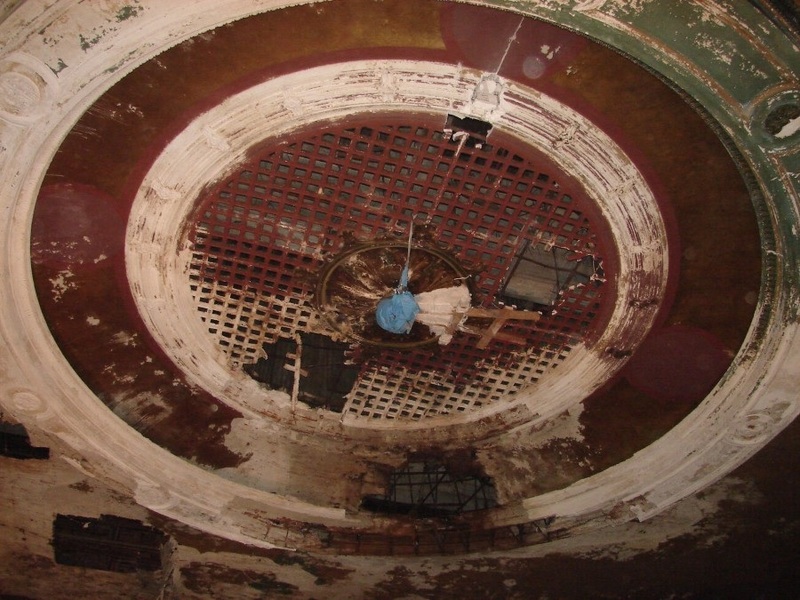 The historic 1880 Queen Theater in Wilmington, Delaware stood abandoned and neglected for the last half of its life, the elegant, thirty foot diameter plaster ceiling dome destroyed by water entry. 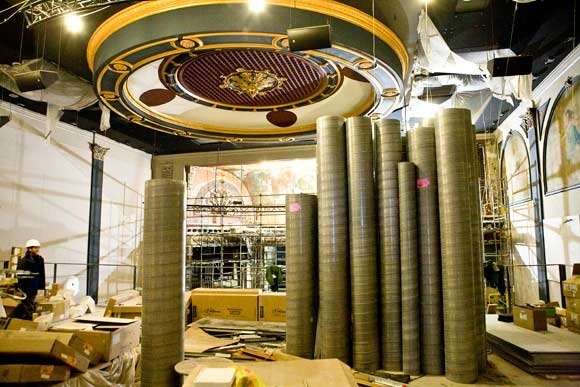 As part of a $24 million dollar restoration of this important downtown anchor building, A. Thayer Smith of the Architectural Arts Group LLC of Parkesville, PA was chosen to reproduce the ornamental plaster. None of the existing plaster was at all restorable, so exact molds had to be taken of all existing molded elements in order to reproduce them. 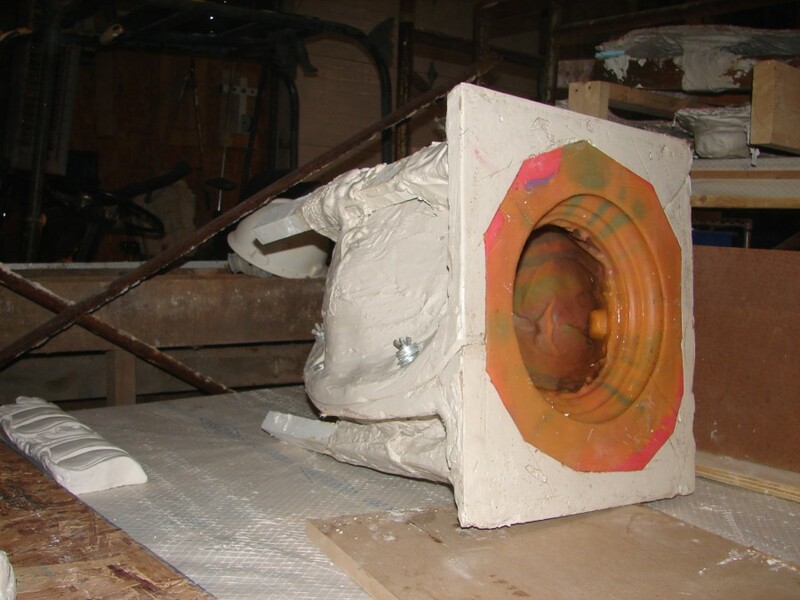 Before demolition, AAG obtained access, catalogued the work, and took the molds required to reproduce accurate, historic reproduction plaster work. After an interval, during which demolition and structural work was executed, they returned and installed the fabricated molded elements and flat work. The resulting work hadn’t been seen since the early part of the last century. Thayer Smith is a Member of the Guild of Building Artisans. Tighter view ceiling original dome, note blue sheeting over pendant plaster mold. Close up view of pendant mold, in shop. This entry was posted in Architectural Conservation, Ornamental Plaster, Reproduction and tagged Delaware. Bookmark the permalink.